Aspose.CAD Cloud is Launching Soon! We are glad to announce that the first release of Aspose.CAD Cloud REST API is about to launch. The REST API will be available very soon to be consumed in your applications. It will allow you to manipulate AutoCAD files in your application using a simple set of requests. 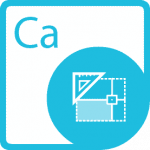 Aspose.CAD Cloud REST API will give you a rich set of features to work with AutoCAD files on any platform with minimal learning curve. It is a REST API that will allow developers to convert AutoCAD DWG, DWF and DXF files to PDF and Raster images. It does not require AutoCAD or any other software for working with the AutoCAD files. We are currently in the process of preparing Examples and Documentation for this new product. We have planned to release the first version of Aspsoe.CAD Cloud REST API soon with features shared above. If you have any questions or suggestions, please feel free to write on aspose.cloud Forum. Please stay tuned to this blog for further updates. This entry was posted in Aspose.CAD Cloud Product Family and tagged AutoCAD DWG, AutoCAD DXF, AutoCAD Drawings, AutoCAD Drawings conversion. Bookmark the permalink.	. You can follow any responses to this entry through the RSS 2.0 feed.